Sartorially speaking, there’s nothing worse than falling in love with a pair of jeans online only to have them arrive feeling stiffer than cardboard—when you can’t even sit down in them properly, you sadly have no choice but to pack them up and return them. The good news? It’s looking like those disappointing days are numbered, thanks to a new fabric concept we recently learned about, LYCRA® dualFX® technology. 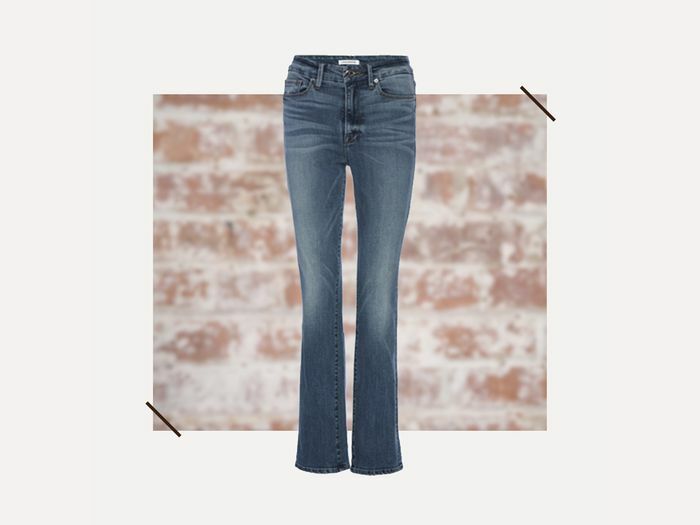 The fiber yields jeans that stretch without stretching out, thus offering extra comfort and a flawless fit. Our favorites at the moment? Skinny jeans from Good American, Joe’s Jeans, and American Eagle Outfitters. Intrigued? We’ve got the lowdown for you. This unique denim technology means you’ll be getting amazingly comfortable jeans that move with you while keeping their shape. The high stretch allows for your jeans of choice to be the most comfortable pants you own—no stiff fabric here. No matter what kind of off-duty occasion you’re dressing for—brunch with the girls, perhaps, or a day at a museum?—you need reliable denim in your wardrobe that delivers both style and comfort. Good American, Joe’s Jeans, and American Eagle Outfitters are fashion-girl favorites that come complete with LYCRA® dualFX® technology—and you can shop our favorite styles right here. Curious to know more about LYCRA® dualFX® technology? Find out more here.